How much is too much memory? Memory is a very important part of a PC. the best way to describe RAM I have found is using a table and open books where the open books represent programs. The amount of RAM you have is the size of said table. The larger the table the more books you can have open at one time. The more RAM you have the more programs you can have running. The only time you would ever be limited is if your are running a 32 bit OS, because you can not use more than 3.5 GB of ram with a 32bit OS. with a 64 bit OS you can use a lot more. Theoretically 16 exabytes or 17.2 billion gigabytes is the limit. however the operating system(in this case windows) will limit your amount of RAM as follows. Suppose you have a computer with 16 GB of memory. If the computer is usually using about 4 GB of memory and never reaches 8 GB. You may end up asking would the computer run as equally fast by removing half of the 16 GB and working with only 8 GB or memory. The quick and dirty answer is no, because the operating system can use the extra RAM as disk cache, which speeds up access to data on the disk. Extra RAM will not make CPU-bound computations (not involving much disk I/O) faster though. Below is an example from a computer with 24 GB of RAM. Even though only 7 GB is currently allocated as “In Use” memory, another 10 GB is allocated as “Standby” memory and contains data that may or may not be read again. If it is read, it will make your computer faster. The “Free” memory is not being utilized whatsoever at the moment. Beginning on the left, in gray, is the Hardware Reserved list, which shows the amount of memory reserved for hardware. This list represents the amount of memory that the various hardware devices installed in your system have reserved so that they can communicate with the operating system. Of course, memory reserved for hardware is essentially locked and as such is not available to the memory manager. The In Use list, shown in green in Figure C, represents the amount of memory being used by the operating system, drivers, and the various running processes. In Use memory is calculated by adding the sizes of the Modified, Standby, and Free values and subtracting this from the amount of recognized memory, which is listed as Total in the section just below the graph. 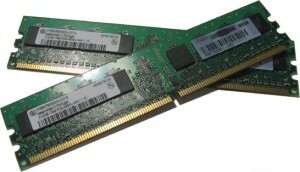 The Total memory is calculated by subtracting any Hardware Reserved memory from the Installed RAM. Shown in orange, the Modified list represents the pages of memory that contain data that has been modified but not been accessed for a while. As such it is not technically in use but can still be pulled into service quickly if needed. If memory in the Modified list has not been accessed in a long time, the memory manager will write the page to disk and then move it to the Standby list. Now, if a process needs a page that is associated with the process and that page is now in the Standby list, the memory manager immediately returns the page to that process’ working set. However, all pages on the Standby list are available for memory allocation requests from any process. When a process requests additional memory and there is not enough memory in the Free list, the memory manager checks the page’s priority and will take a page with a low priority from the Standby list, initialize it, and allocate it to that process.